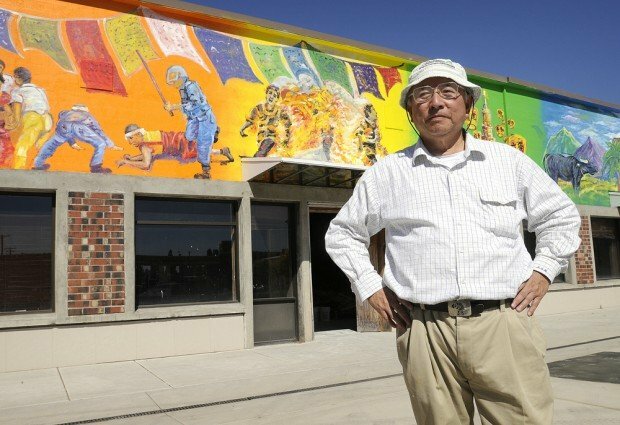 There is an interesting story (see here and here and in Forbes here and SCMP story here [requires subscription] ) about a Taiwanese-American who had a mural painted on his building in Corvallis, Oregon, promoting independence for Taiwan and for Tibet. According to news stories, the Chinese Consulate in San Francisco wrote a letter to the Mayor of Corvallis asking her get David Lin to take the painting down. She wrote saying she did not have the authority to do that, since it is protected free speech, so the consulate sent two officials to meet with the mayor (presumably to pressure her, though one news story mentioned that they did not actually ask her to have the painting taken down). This, somewhat predictably, has led Oregon's politicians to line up to blast China. Perhaps most surprising in this story is the idea that China's diplomats, who are a pretty savvy bunch, nowadays, thought that the mayor could somehow have the painting removed. This shows a surprising lack of understanding of the American political system (not to mention the Constitution). Furthermore, it seems to American eyes quite astonishing that China would think it had the right to request the removal of political art in the US. Since China is constantly complaining about outside interference in its domestic affairs, at first sight this seems, to American eyes, an example of Chinese interference in American affairs. Most interesting in this case, however, is how notions of national sovereignty can be seen to be weakening with globalization. China is concerned that its national sovereignty is weakened by a painting in the US. The US politicians feel that US sovereignty is weakened by Chinese diplomats seeking to have the painting taken down. In an increasingly interdependent world, both may be right, but the result is that the notion of sovereignty is weakened, because we cannot pretend that what we do in Corvallis does not have an effect in China. That is true whether we are American, or Chinese.